slow cooked beef short ribs. A quick story for you: last month, my boyfriend, Ty, took me on a trip to the Bourbon Trail in Kentucky for my 30th birthday. It was a wonderful trip, and we ended it at this restaurant in downtown Louisville called Proof on Main. In typical fashion, I had been stalking the restaurant menu for weeks, planning my meal. I was either going to order the short rib or the bison burger with truffle fries. Then, we get there, and at the very last second, I blurt out an order for the gnocchi with duck. Ty orders the short rib. I start to panic internally—why in the world did I decide to order duck gnocchi? I guess I felt compelled to be spontaneous? Anyway, fast track 10 minutes or so, and they bring out a luscious, gigantic short rib served on a bed of roasted cauliflower to Ty. And they bring out an odd plate of tiny gnocchi with huge chunks of duck meat to me. Immediate entrée selection regret. And at my 30th birthday dinner of all times. Tears may have been welling in my eyes. I cannot confirm this. But no questions asked, Ty swaps our plates. He takes my odd duck dish and gives me his absolutely divine, melt in your mouth short rib entree. Anyway, back in Ohio, I decided to attempt short ribs at home, for the first time, as a thank-you to him. The best part about this recipe is—the slow cooker! I am convinced it is magical. The meat just gets so tender. You do need to brown the ribs before they take their extended slow cooker nap. It really does make a big difference, and only takes a few minutes. I also know short ribs are on the more expensive side, but they are totally worth it for a special dinner at home. Definitely much less expensive than ordering them at a restaurant! Win win. 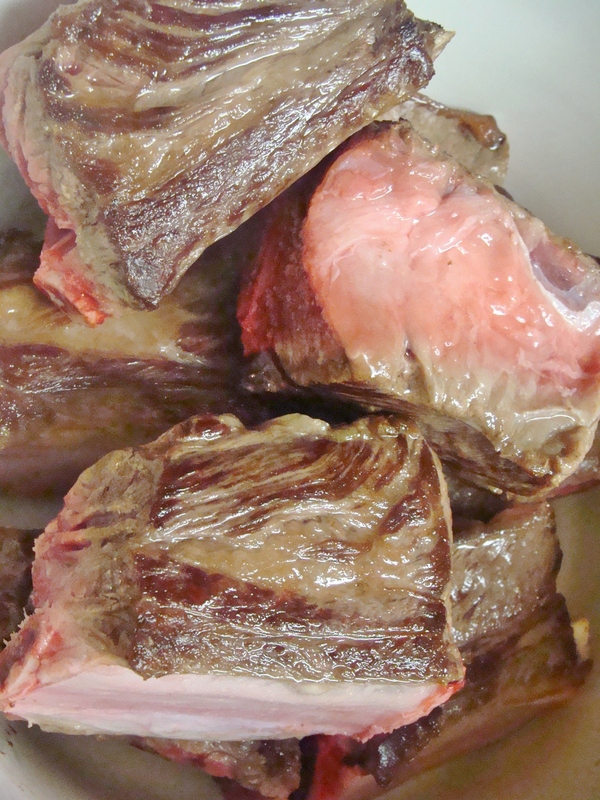 The first thing you need to do is brown your short ribs. To do this, heat olive oil in a large skillet over high heat. Wait until the skillet warms, then add your short ribs. I seasoned them very lightly with black pepper and sea salt. Let the short ribs brown on one side for 4 minutes, then use a pair of tongs to flip them. Brown the other side for 4 minutes. They should be starting to caramelize. 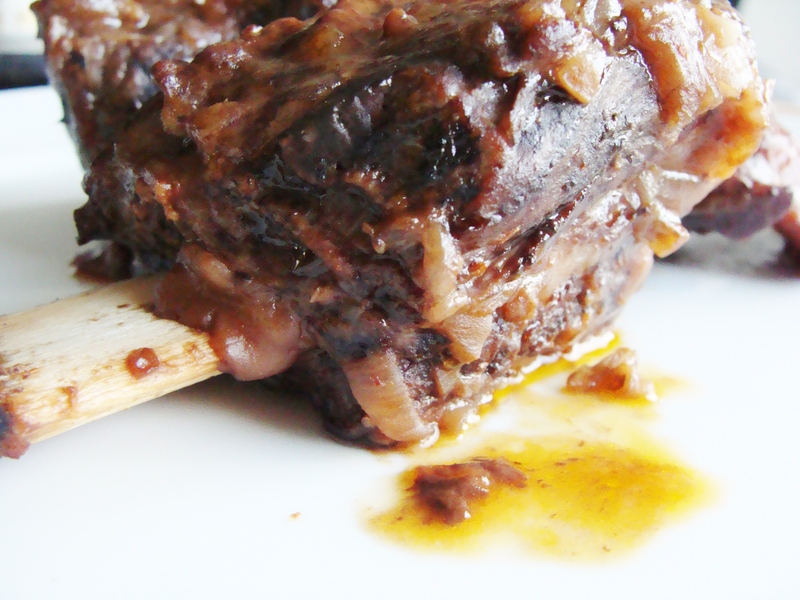 Using your tongs again, move the short ribs from the skillet to your slow cooker. Let the ribs be for a few minutes while you make your sauce! Allow the skillet to cool for a few minutes, then turn it on medium heat. Saute your minced shallots for 5 minutes. Then, add your tomato paste. Saute for another 4 minutes. Now the fun part! Add the wine and the beef broth into the skillet. Stir with a spatula, mashing the tomato paste into the liquid mixture. Add your brown sugar and flour. It will take a few minutes to stir the mixture well and be sure to mash out any clumps of flour. Let the sauce come to a boil, then reduce to a simmer. This will smell amazing, by the way. 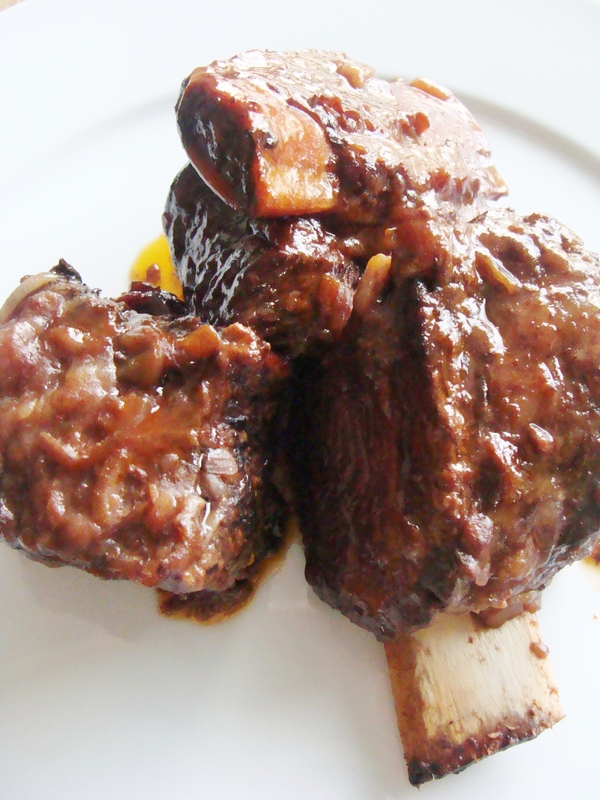 Ladle the sauce over the short ribs already in your slow cooker. Add another dash of salt and pepper, then close the lid, and set the slow cooker either to cook on high for 7-8 hours or low for 11-12 hours. I cooked ours on high for 8 hours, and when I removed the lid to check the meat, it was so tender, it slipped right off the bone. Score! I served these over some mashed potatoes and sautéed mushrooms. I still haven’t fully recovered. So good. 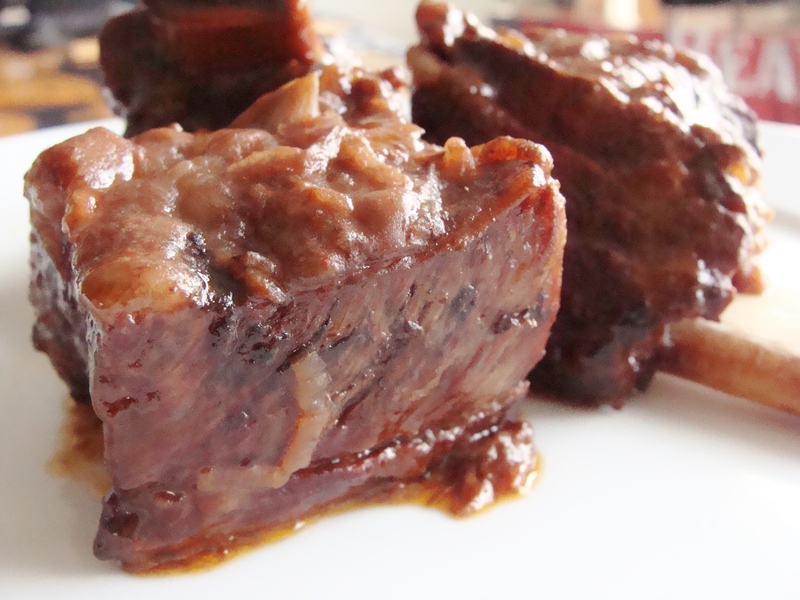 You are currently reading slow cooked beef short ribs. at The Cheesy Kitchen. Categories: meat., recipes, slow cooker.